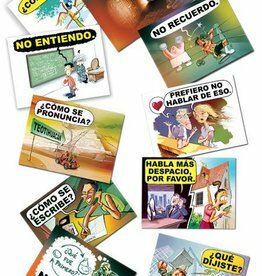 A set of 48 fun stickers with smilies and Spanish texts like "¡Excelente! ", "¡Buen trabajo! ", or "¡Eres brillante!". The backgrounds have the colors of the national flags of Spain, Argentina, Colombia and Mexico.